All too often, history books focus on the great men and women responsible for local, state, and national events while ordinary folks are overlooked or forgotten. However, history is so much more than a grand series of events punctuated by famous people; it also consists of average citizens experiencing their day-to-day lives. A great example of this social-historical perspective is the Smith Photographic Collection, recently digitized by the Lynchburg Museum System. Named for the principal photographer, James Thomas Smith, the collection includes over 1,200 images detailing African American life in Lynchburg and Central Virginia in the decades prior to the end of segregation. 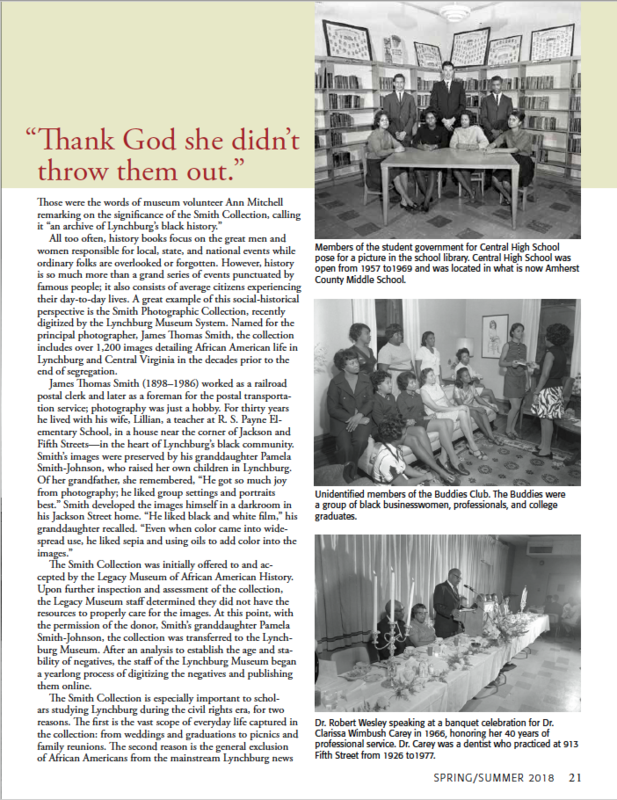 The Smith Collection was initially offered to and accepted by the Legacy Museum of African American History. Upon further inspection and assessment of the collection, the Legacy Museum staff determined they did not have the resources to properly care for the images. 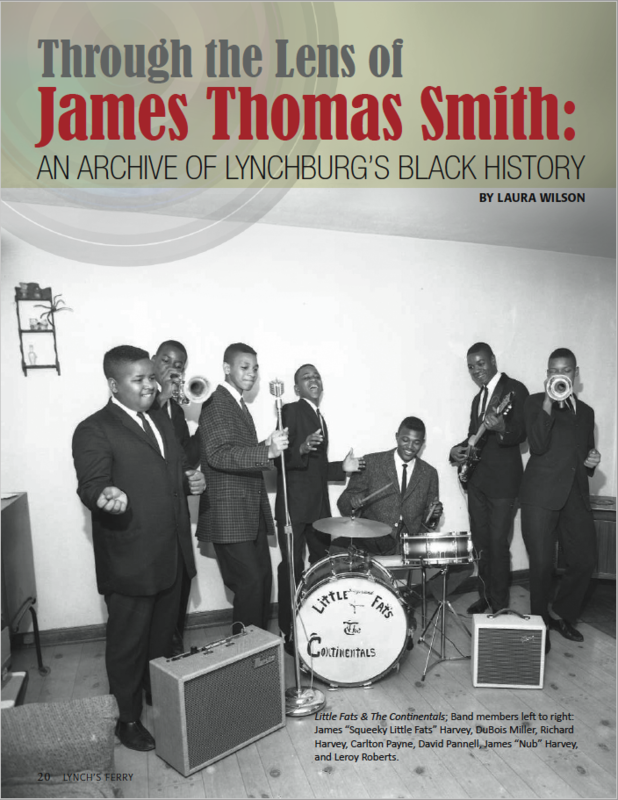 At this point, with the permission of the donor, Smith’s granddaughter Pamela Smith-Johnson, the collection was transferred to the Lynchburg Museum. After an analysis to establish the age and stability of negatives, the staff of the Lynchburg Museum began a yearlong process of digitizing the negatives and publishing them online.